Snapizzi's all-inclusive search feature makes it easy to locate Subject galleries. In addition to locating Subjects by code, you are able to search your Project using any identifying information contained in the CSV file you uploaded (Name, Teacher, Student ID, class, etc.). You can also quickly locate cards blank and group cards by simply typing "blank" or "group" in the search box. The all-inclusive search also applies when using any of the Repair tools, making it easier to locate Subject galleries. Mouse over any code to display the Subject information. 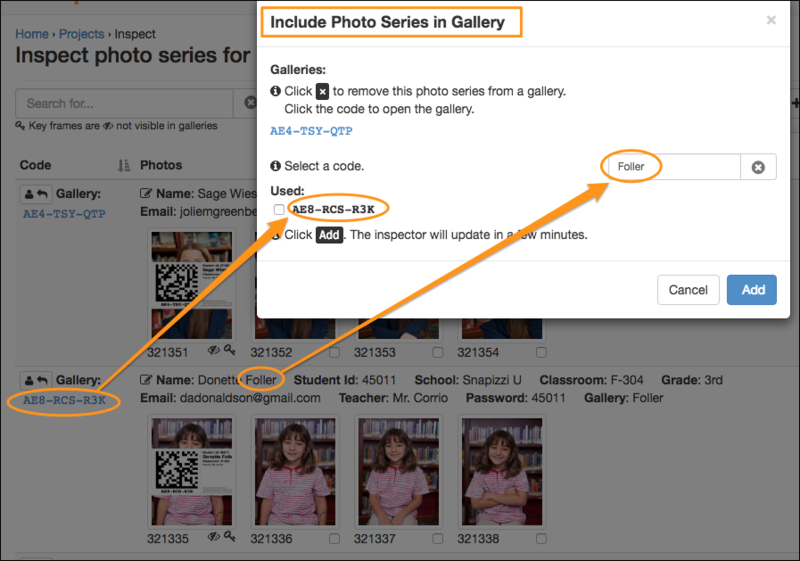 TIP: Use the Quick Code Filter to easily find all photos connected to a Subject.